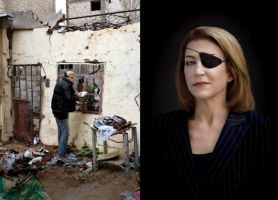 Marie Colvin’s Private War Foreign correspondent Marie Colvin was on the front lines of conflict zones, no matter the physical and emotional toll. Marie Brenner learns what led Colvin to her death. This eyepatched journalist gave her all covering Syria back in 2012. It is good to remember her incredible bravery.